For years now, you have advocated for tough immigration laws. Do you support this administration's "zero-tolerance" policy of separating families at the border? I do not believe in separating families at the border. I believe that children should stay with their parents. I believe that what you're seeing is a humanitarian crisis as well as something which puts us in a very bad light around the world. It's hard to be a shining city on a hill if the world sees us separating children particularly young children from their parents. 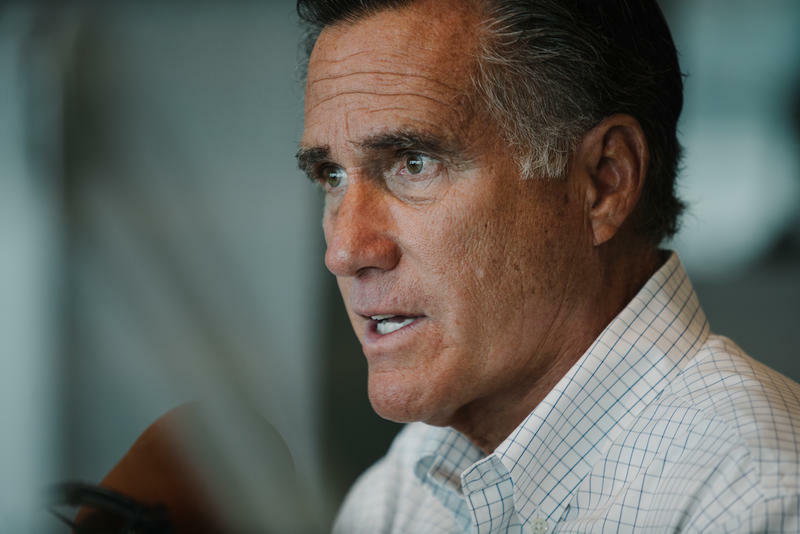 The issue has been polarizing within the Republican Party. Former First Lady Laura Bush is not really known for wading into policy issues but even she wrote an op-ed calling it “immoral.” Do you agree that it's immoral? I have put out a statement – a tweet if you will – that indicates that I agree with what Laura Bush said on her statement. I think this is a policy which must be reversed. I think the temporary fix is to return to the policies that were being executed during the first year of President Trump's administration. And then as to a permanent fix, it may well require legislation. How to proceed with that depends on all of the discussions with regressed immigration to Washington. But clearly legal immigration is a good thing. We welcome that in our country. Illegal immigration is something we want to eliminate. And the president and the administration are working hard to do that. But at the same time we can't create a humanitarian crisis — a human crisis — of the nature that we've seen in the last several days. This is one of those issues that people want to see a solution on – both sides coming together. But bipartisanship in Congress seems to be getting harder to actually accomplish. Do you have a plan for going to the Senate and crafting legislation that can actually get passed? As you know, the only way to get anything passed in the Senate is to have some Democrats sign on with Republicans and vice versa. So there has to be an effort to find some common ground without either party losing principle but instead saying, "Are there some places where people who both love their country and who all have principles, can we find some common ground where we can do some more good?" If I become a United States Senator from Utah, I will work very hard to see if we can find common ground. And that's something, by the way, which I've actually proved in a setting where there were a lot of Democrats and I had to find some common ground and hold to my principles at the same time. On tariffs and trade, is that the right solution, particularly for Utah? A trade war is not good for Utah and it's not good for the country, frankly. For Utah in particular because we are a net-export state. We sell more to other nations than we buy from other nations. So, having a trade war break out would not be a good thing for us. And I don't support broad-based tariffs against whole industries or groups of countries. At the same time, I recognize that when there's a cheating country or company that you have to find some way to get them to pull back or suffer consequence. And as you know, China has been cheating over many, many years. So pushing back against those unfair trade practices is appropriate. But broad-based tariffs are not a good thing. I want to ask about your relationship with President Trump. You were really hard on him a couple of years ago before he got elected. He has endorsed you over your opponent in this race. What has changed in the last year or so that has made you more comfortable? Well, when the president says something I agree with then I will support that. And many of his policies during his first year were policies that, frankly, I proposed when I was running for president back in 2012. Reducing our corporate tax rates so that it's globally competitive was the right thing to do. The effort to remove unnecessary regulation is the right thing to do. His return of Bears Ears and Grand Staircase [national monuments] to multiple use was the right thing to do. So many of those policies are right. There were some things that I felt were wrong. During the campaign he spoke about putting a 45 percent tariff on all foreign goods. That's something I thought was wrong and he backed away from that. So, you know, I call 'em like I see 'em. There have been a number of things on the personal front - tweets and so forth - that I have found objectionable and I point that out. When the president's right, I'll be with him. When I disagree with him, I'll point that out. I think that's what people would expect of an independent voice, someone who represents the values of Utah. Does it bother you in this race that you are being framed as a carpetbagger, somebody from out of state? I don't think people in this state have any question about who I am. They saw me here during the Olympics, of course, I was here for college as well. I've lived in Utah for 10 1/2 years. So I'm I'm happy to be in the place where my ancestors were pioneers and founders. I jokingly say that I'm a fifth-generation Utahn, although we took a few years out to make a living. Does it bother you though, that people say that? Well, the only person saying it right now is you, and that doesn't bother me in the slightest. [Laughs] I know who I am and I think people know who I am. They know where I stand on issues. They know my deep Utah roots. They know that I was raised in a family with Utah values. 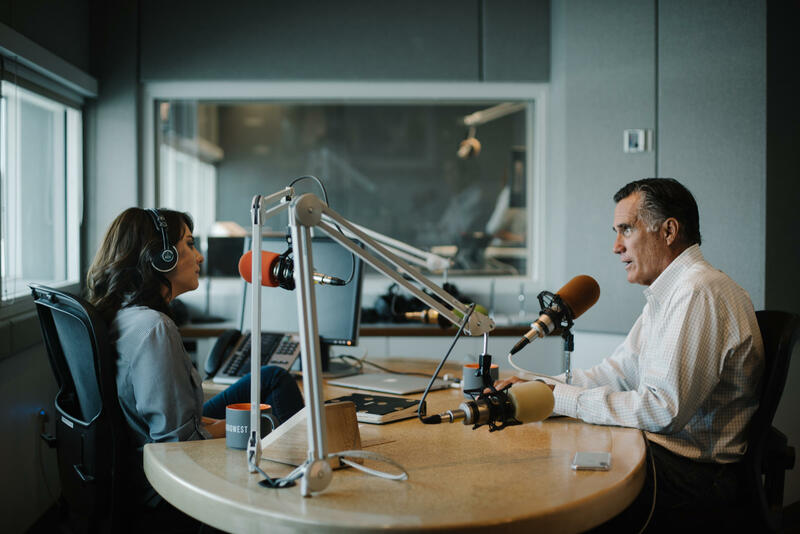 They know that I've gone to every county in the state, met with voters and understand deeply the issues and concerns people in Utah have, and frankly, those are shared with a lot of people across the country. A few years ago you took some flak when you said that Russia is America's No. 1 geopolitical foe. Now that the U.S. is investigating Russian interference in our own elections, have you or your campaign been targeted in any way? No, I don't believe so. I don't know whether Russian bots have been going after us or whether people are watching us from overseas, but there's no question that Russia is a geopolitical adversary. That doesn't mean that we're going to go to war with them or we are at war with them. But Russia constantly supports some of the world's worst actors and they are trying to interfere with the electoral process and democracies across the world. It is their intent to delegitimize democracies and to foster authoritarianism. In terms of our geopolitics, it's important for us, I believe, to recognize that we must link arms with our allies and that American strength is the best deterrent against authoritarianism and repression around the world. Looking at Republican primaries so far this year, you have Republicans like Mark Sanford in South Carolina losing to his opponent Kate Arrington, who got a last minute endorsement from President Trump; Corey Stewart in Virginia, who has called himself the "Trump before Trump;" and even though he lost, Republicans nominated Roy Moore in Alabama's Senate race. Is the Republican Party now the party of Trump? I'm going to let other pundits describe what our party is or is not. What I describe is what I believe about the most important issues we face. And I believe there are a number of things that are critical to the people of Utah. Some of those relate to public lands, to economic development in our rural communities, to care for the very poor in our community, to having better schools. That's the No. 1 issue that I hear about as I go across the state. Then there are national issues that people in Utah also share concerns. For instance, the amount of our national debt and the interest we're paying on that debt. And the need to return to constitutional principles, such as the concept that states should be the places where policy relating to education, healthcare, welfare, public lands, ought to be created. Where do you see yourself in the Republican Party of today? You know, I don't try and pigeonhole myself in one place or another. I describe the things I believe, fight for those things. I point out that even though I was not promoted to general I'm still going to keep fighting for the things I believe in. Where other Republicans stand is up to them. 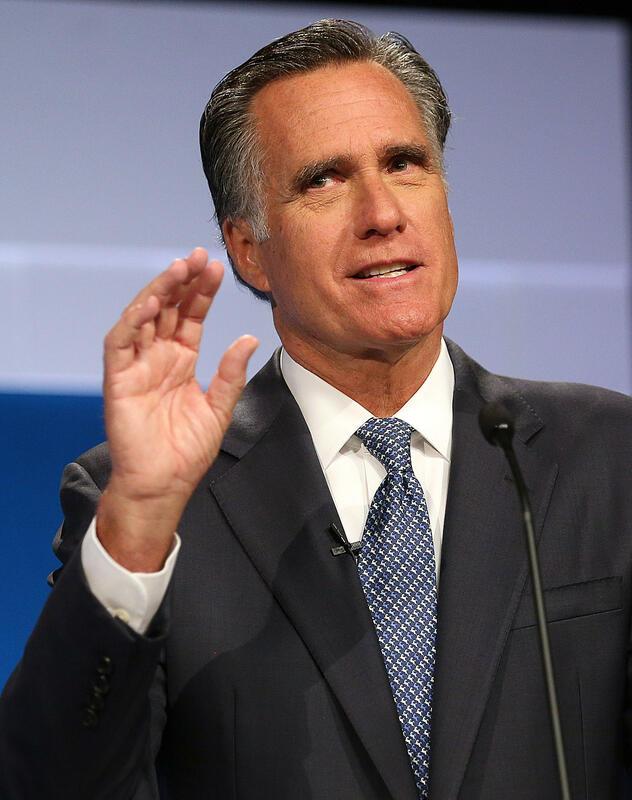 But my views I think are pretty straightforward and pretty well-known by the people of Utah because frankly, having run for president twice made the people of our state very, very aware of where I stand on the issues. And I have those same positions today that I had when I ran for president. Listen to KUER's interview with Mike Kennedy here. 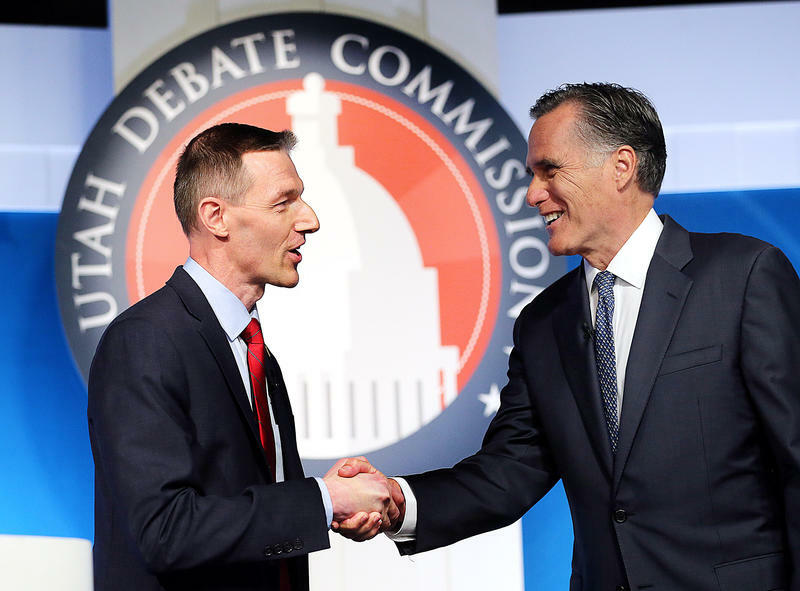 Mitt Romney, the Republican frontrunner for U.S. Senate, and his primary opponent Mike Kennedy debated on Tuesday at Brigham Young University in what sounded, at times, like an echo chamber. 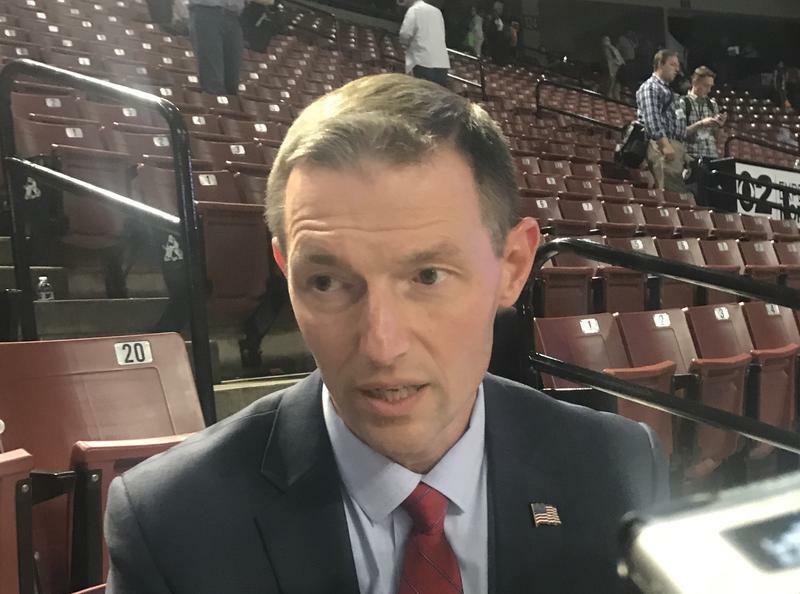 Republican U.S. Senate candidate Mike Kennedy is clarifying an apology he gave to a Texas pastor who has made inflammatory comments about Mormonism and other religions.